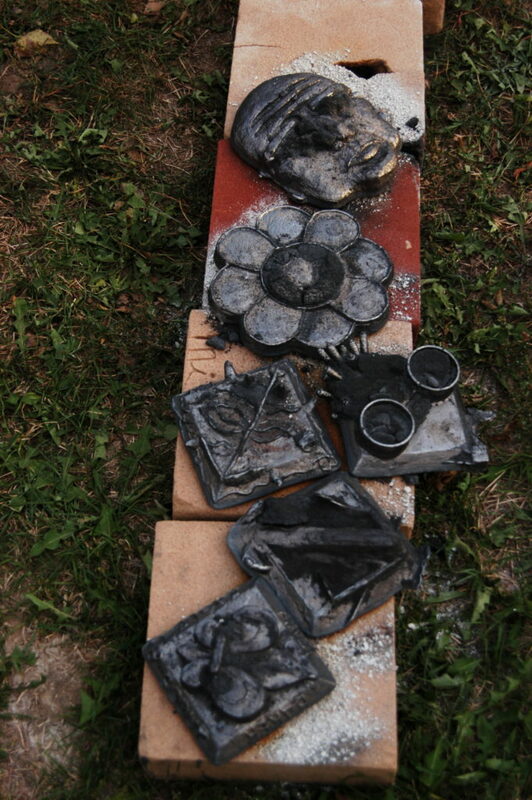 If you have never been part of the metal casting process, making a scratch block is the easiest way to get involved! First, come by the Fastener Lab and purchase a scratch block. 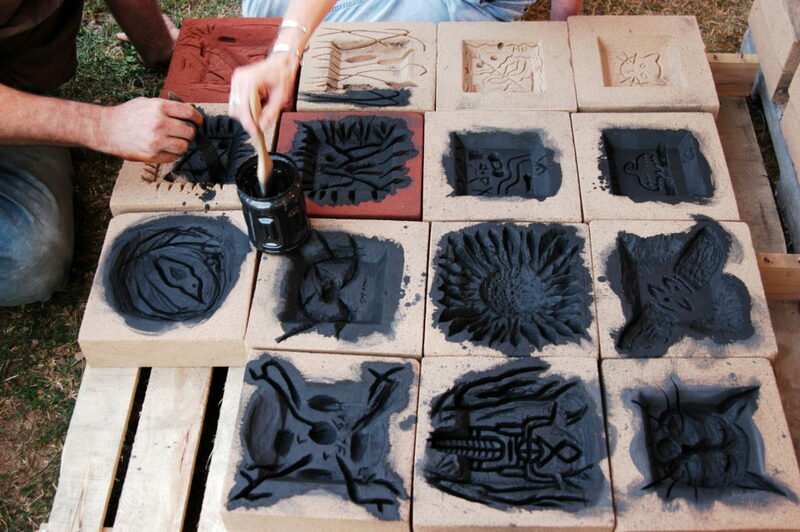 Scratch blocks are typically sold a week before a metal casting event to support the student run art club. You can take this home with you or work in the lab during open hours. 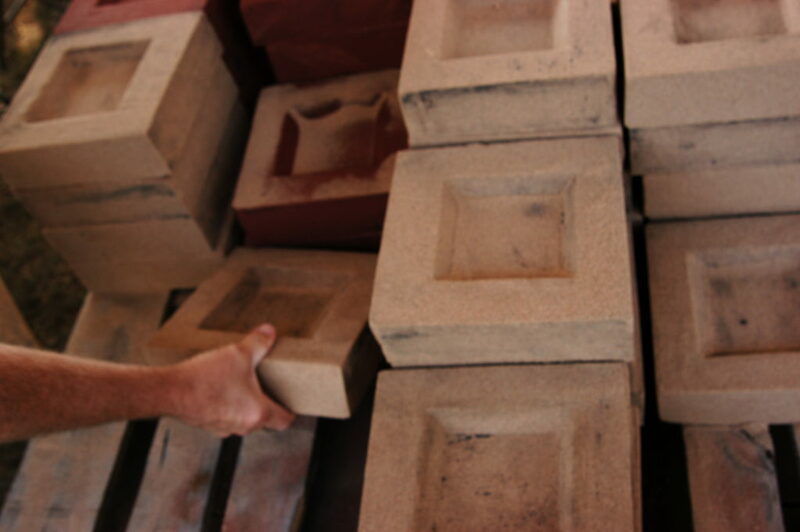 In the lab we have a variety of tools you can use to start carving the block of sand. At the metal casting event this scratch block will fill with metal, resulting in your finished piece. 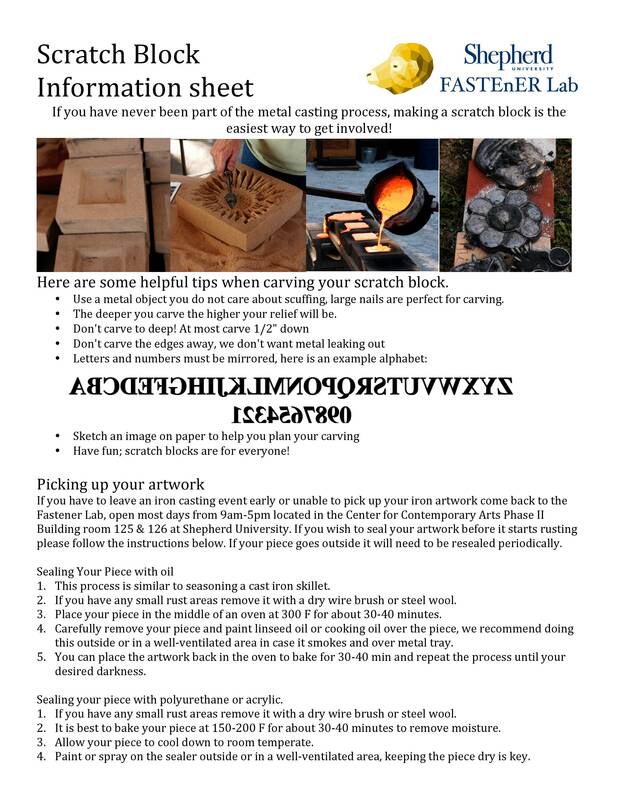 Here are some helpful tips when carving the scratch blocks. The deeper you carve the higher your relief will be. 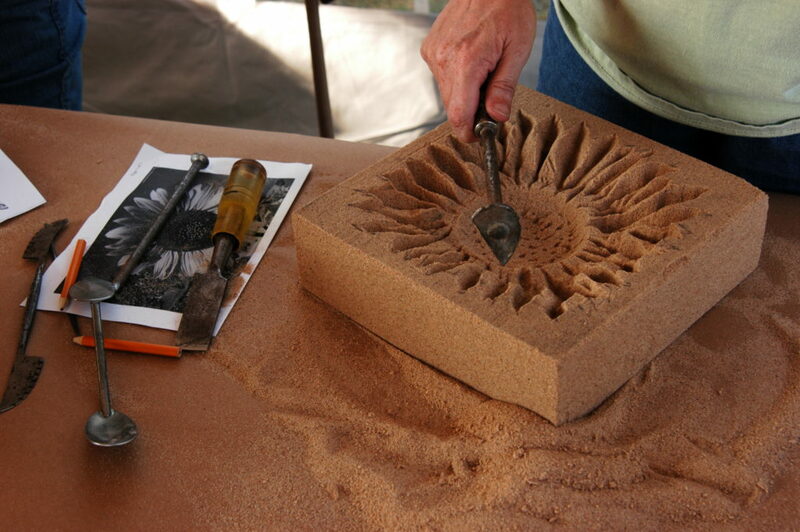 The Fastener Lab has hand tools you can use to carve the sand or you can use your own. You can work on these in the Fastener Lab or take the scratch block with you and return it the day of the pour. Bring your scratch block back to the Fastener Lab or bring it the day of the pour and we will take it from there. 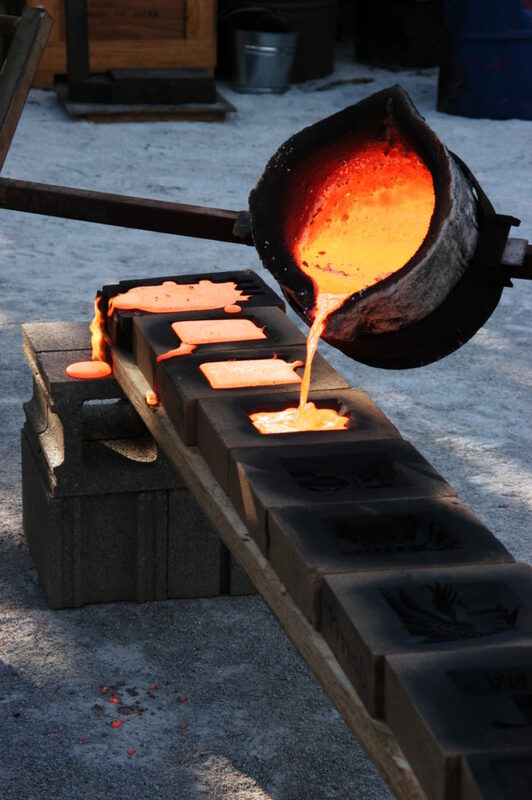 During a metal casting event you will be able to see your piece being poured! Once your piece has cooled long enough you can take it with you!